Pool ~ Outbuildings ~ and More! 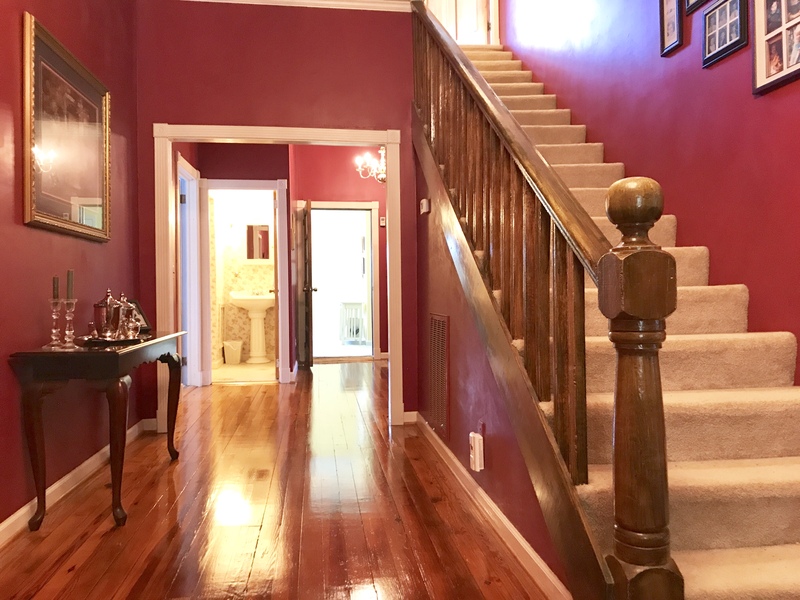 countryside on 1.7 acres displaying a kaleidoscope of plantings from grand Magnolias that shade the wide wrap around porches and gorgeous ornate Cherry trees, Fig trees, Peach trees and Saw Tooth Oaks to flowering Azaleas , Mature Hedges, Box woods, Rose of Sharon and Tuscan Blue Rosemary! This home evolved from the basic four-square style with expansive center halls on both the main level and the second floor. It boasts 7 Bedrooms, 4 Full Baths and a unique third floor finished attic serving as the family’s media room! large Eat-In Country Kitchen, Dining Room & Family Room. Large Windows bringing in natural light and spacious large rooms! The home has been renovated for today’s comfort with all modern day amenities. Surrounded by other large farms one can enjoy the country views as well as the luxury of your very own pool with hot tub ! Tucked away among the oaks and gardens…. There are also numerous outbuildings including garage, carport, barns and work shop. Looking for YOUR PLACE in the COUNTRY…this is a MUST SEE! See you soon! Priced to sell at $299,000!